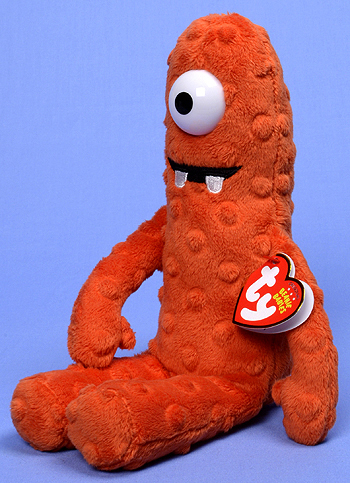 Muno was released in September 2012 in key-clip and Buddy sizes. Muno is a male, friendly red cyclops. He is the tallest character and a little clumsy. 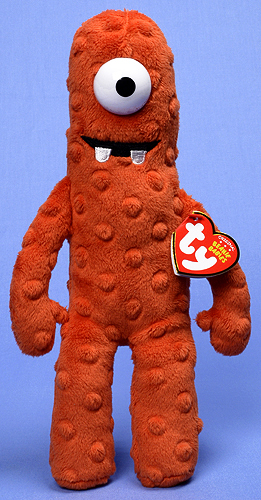 Muno plays guitar in the Gabba band. 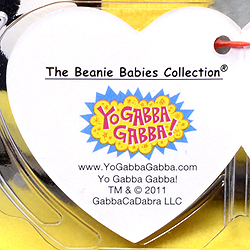 Ty made five Beanie Babies based on Yo Gabba Gabba characters. Their names are Brobee, Foofa, Muno, Plex and Toodee.